Bear hadn’t slept well that winter. Waking up to find nibbles on our favorite pair of dungarees did not elevate the bleak mood. 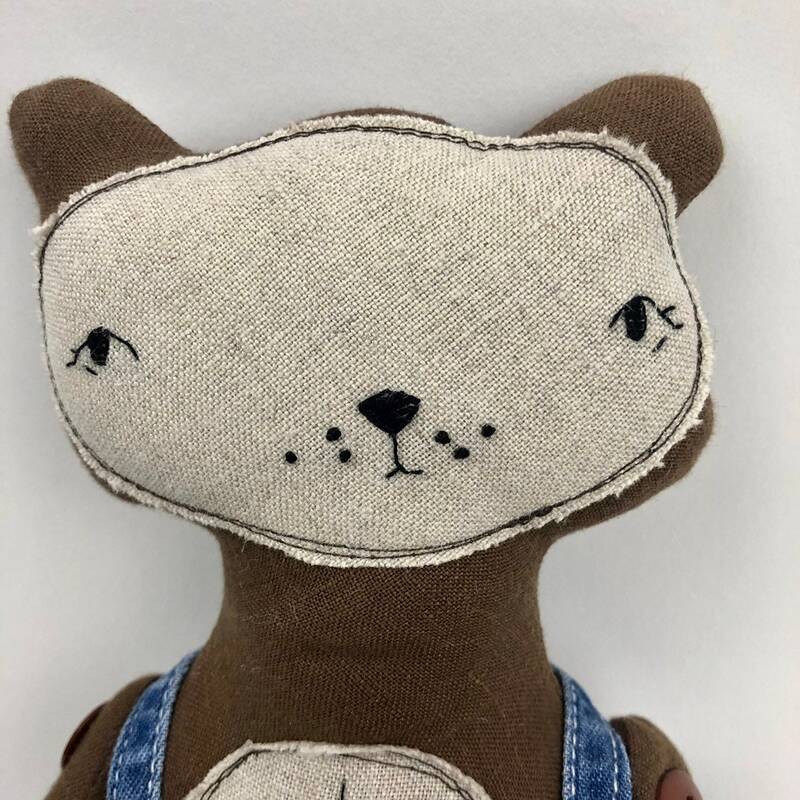 Our bear is made of reclaimed linen fabrics with a gentle hand embroidered expression, button jointed arms and patched denim bib overalls. Bear measures 18 1/2” tall.